← Hanging Art With Odd Job! Summer is by no means over, but with the most brutal part of the heatwave over you’re probably feeling a bit more energy to tackle those long-neglected home improvement tasks. Warmer weather always signals the compilation of summer ‘to-do’ lists, and it’s tough to deny that comfortable air makes completing a few projects around the house much more enjoyable. This is the perfect time to give your house a thorough examination to assess any damage or wear your property might have sustained during the winter. If your home is equipped with cooling and heating systems, you’ll benefit from having it thoroughly inspected to ensure that your home is receiving the protection it needs. Because of the financial consequences, this is one of the most important home improvement tasks discussed here. Neglecting an initial inspection might cause you to use your A/C system at less-than-optimal efficiency and can also lead to larger maintenance issues down the road – especially in the months to come, as the days get colder! You should take the time to switch the filter on your air conditioner before you commence regular use, and it is a good general rule to replace it on a monthly basis for the duration of the cooling season. Allowing a dirty filter to remain in place can restrict airflow and make the system work harder and run longer, which will ultimately increase your energy use. If you’d like a more-detailed examination of how you can care for your air conditioning system, and how you can drastically reduce your energy bill, check out our article Stay Cool and Slash Your A/C Bill! One of the home improvement tasks worth elaborating on is care for your screens. It’s the time of year when your windows should be open to outside air. Opening more windows to allow for greater airflow, however, can also invite many unwanted winged creatures into your home. This is why you should take time to make sure all windows are outfitted with screens that fit correctly and do not have any holes, rips or tears. You should think hard about replacing screens that have holes any larger than half an inch in diameter. Fortunately, most home improvement stores sell replacement screening at a reasonable price, and installing new screens around your home is an easy summer’s afternoon project. Once your new screens are installed, it won’t hurt to regularly wipe them down to remove dust and cobwebs that are likely to accumulate. Those spending their time outside are no longer sweltering, but enjoying warm air and cool evenings. You’ll more than likely want to take advantage of these conditions, and your patio should be ready to sustain the extra use without accumulating too much unwanted wear and tear. You might start by thoroughly washing your deck to remove dirt, mold, mildew, and other debris that has accumulated during the winter. 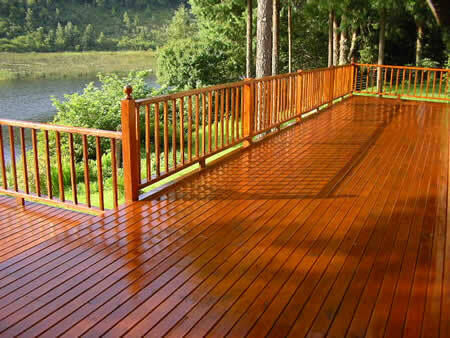 Depending on the type of deck you’re working with, different deck cleaning solutions will be most appropriate, so be sure not to use a cleaner that’s actually meant for a different surface. Applying a fresh coat of rain-resistant paint after thoroughly cleaning your deck will also go a long way towards keeping up your patio’s appearance throughout the summer. For a much more-detailed examination of how you can clean your deck, see our article Refinishing Your Deck With Odd Job! Be sure to check out our special section on deck cleaning and maintenance too! Recreation equipment that has been compromised during the winter will be unsafe for children and any other visitors. 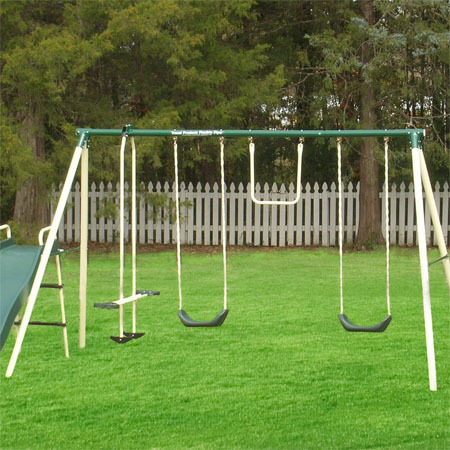 Take some time to check recreational equipment for sturdiness and mend any gaps in fences before you turn your children loose to play in your yard. You can also give us a call, and we’ll take care of any and all outdoor home repair projects you have for us! Just take a look at what we did for this backyard playhouse. As you begin to spend more time outside, keeping your property safe becomes ever more essential. 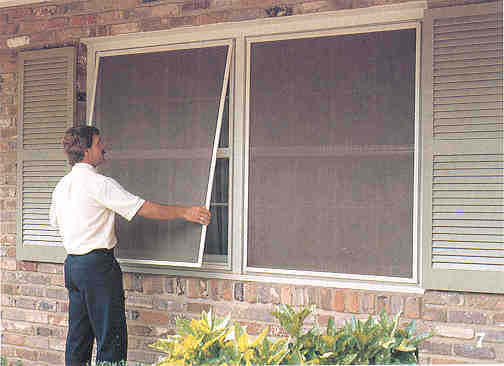 Performing a thorough check on your air conditioning system, making sure all window screens are secure and free of tears, protecting your patio against unwanted wear and tear, and inspecting your recreational equipment are just a few important home improvement tasks to keep on your “to-do” list. as we come out of this city’s latest heatwave! If you need some help, just make a call to (416)-520-1161 or just book our team online! This entry was posted in Blog and tagged home improvement tasks. Bookmark the permalink.